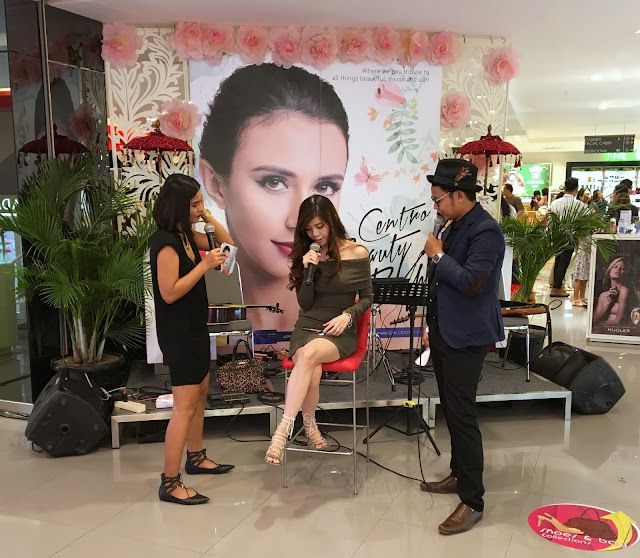 As you can see from my social media, I just had my talk show two weeks ago at Centro Beauty Bash Event which is held at December, 11th, 2016 at Discovery Shopping Mall, Bali. It is an honor for me to become a speaker in Beauty Talk Show at Centro Beauty Bash. 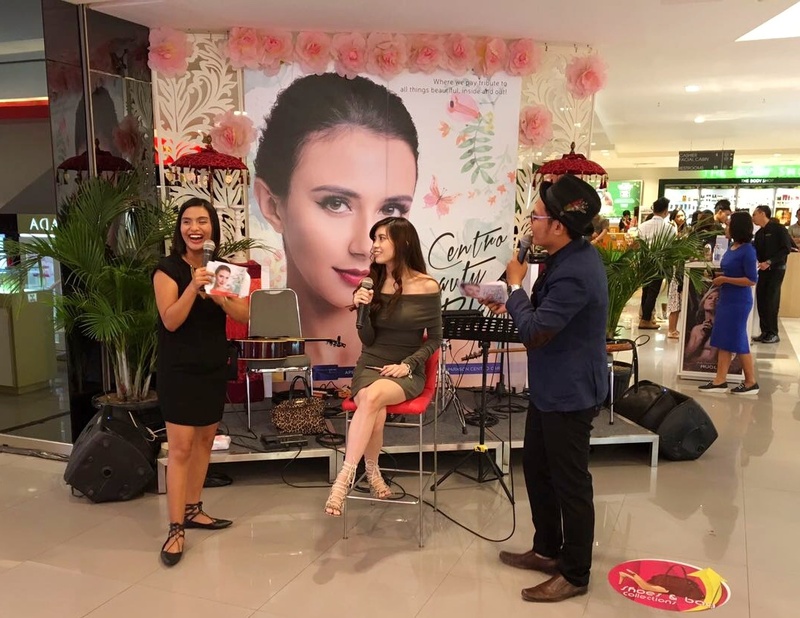 Centro is known as a Department Store who always spoil their customers, which is why they held this event twice a year. Centro Beauty Bash has a lot of to offer such as Exclusive Disc. up to 70% on their Cosmetic and Fragrance products, Buy 1 Get 1 Free promo, free shopping voucher and many more. It's like the biggest event for all the shopaholic out there who's waiting to shop in discounted price! It's so crowded that day, even the parking area was closed due to overload, make sure you don't miss it next time, guys! There's also Live Music, Makeup Demo, Shopping Rally and many more. I'm going to share the summary about my talk show, because if I wrote the full transcript here (with 20 minutes video duration) then its gonna be a longggg page lol. 1. We're in the end of 2016 to 2017, of course there will be some changes in beauty trend, so what do you think the colors that's going to hype in 2017? The colors that are going to hype in 2017 will not very much different from 2016 such as colors like smokey eye still in but it will tend to The Smudgy Eye look, clean skin (which is "no makeup look), glitter and shimmer, unexpected colors like yellow, lilac will dominate in 2017, and natural colors still in (of course, because natural is versatile look). For reference product for natural trend look, NYX Lip Lingerie, along with NYX Eyebrow Cake and NYX Mosaic Powder is very suitable for the natural look because of finish result is smooth and not overdone. 2. How long have you been use social media/blog to share beauty tips or information? I've been use social media for a long time (around 5 years), but I begin (really focus and commit) to share beauty tips/ information around 1,5 years. 3. Why you choose to share beauty tips on social media? As we all know, we live in a digital era, where everyone have smartphone, and with smartphone, it's so easy and fast to get any information, so I thought why not sharing about things that I have passion here? For example, me personally, If I want to buy something, I always research the product review to find out more details about whether the product is good or not, whether it match my skin or not, something like that. So, I think it's a great idea to share something that we love and hopefully people will find my article useful. 4. Who is your beauty inspiration? Michelle Phan. She's a big inspiration, and a pioneer in beauty social media, she's the one who started all this youtube makeup tutorial thing (cmiiw). She's an amazing person, very humble and very inspirational. 5. If you can choose, what is your 5 must have items beauty product? Foundation (BB Cushion), Mascara, Lipstick, Eyeliner, and Contour Stick. 6. Can you share us some tips so we won't buy the wrong beauty product or tools? Just like I said before, always research before buy the product if it's going to suitable for your skin or not. For example, if you have oily skin, it's better if you find something that will have matte finish to balance the result. And if you have sensitive skin just like me, it's better to find something "friendly" to your skin. 7. The last thing you want to say for people who wants to be a beauty blogger out there? So, what do you think about this event and the talk show? Do you like an annual event with big sale like Centro Beauty Bash? Awesome event! Thanks for sharing dear! Thank you dear! Just following you back! Congrats on being featured for this beauty talk show babe! You look stunning! Congratulations on being a guest speaker, that's awesome! Thanks for sharing and I hope you're having a wonderful week so far! Sounds like a fun event! Congratulations on being featured.